The national gas price average increased three-cents on the week to $2.91, AAA announced this week. All but seven states are paying more on the week. Thinkstock Nevada is among the nation’s top 10 most expensive markets. Motorists in the West Coast region are paying the highest prices for retail gasoline in the country. Thinkstock All prices in the region have increased on the week, with California (+7 cents) leading the way. Nevada increased five cents, while Hawaii and Washington each increased four cents. The national gas price average is six-cents more than a month ago and 41-cents more than a year ago. 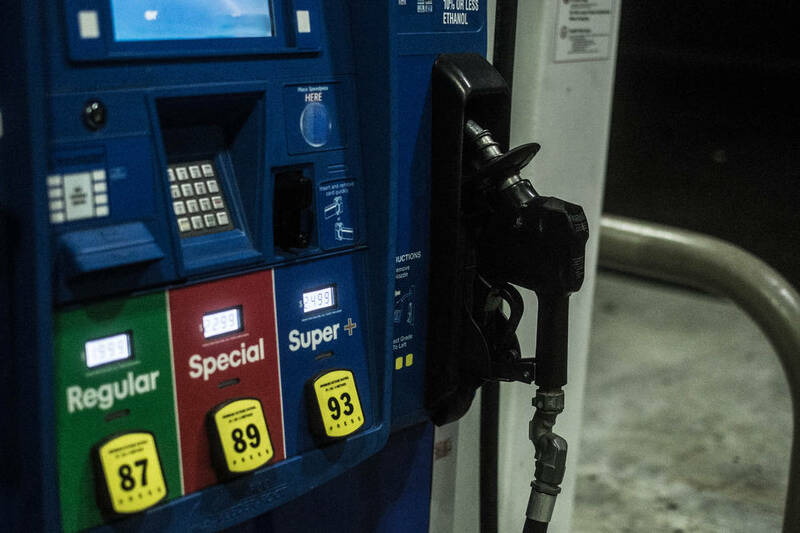 “The September switch-over to winter-blend gasoline ushered in cheaper gas prices compared to the summer, but that drop was short-lived,” said Jeanette Casselano, AAA spokeswoman. “Crude oil accounts for half of the retail pump price and crude is selling at some of the highest price points in four years. That means fall and year-end prices are going to be unseasonably expensive,” she said. Nevada is among the nation’s top 10 most expensive markets. They are: Hawaii ($3.84), California ($3.80), Washington ($3.44), Alaska ($3.33), Oregon ($3.29), Nevada ($3.27), Idaho ($3.13), Pennsylvania ($3.08), Washington, D.C. ($3.05) and Connecticut ($3.03). 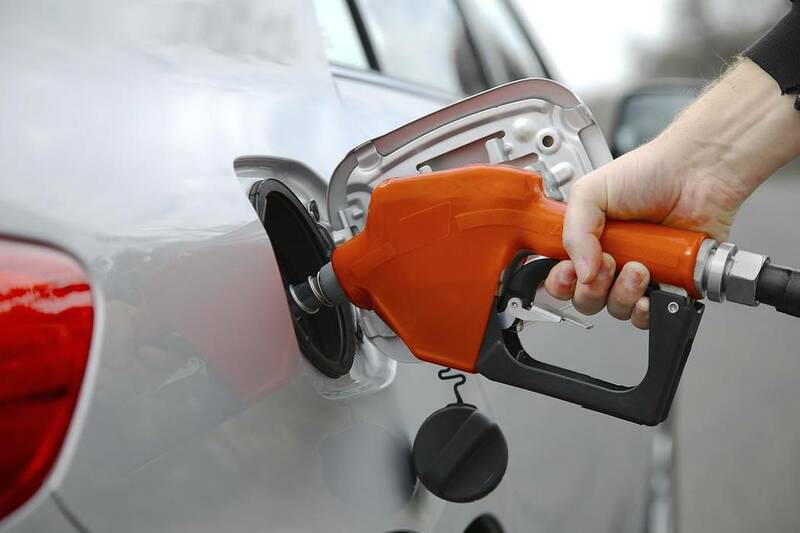 Motorists in the West Coast region are paying the highest prices for retail gasoline in the country, with six of the region’s states represented in the nation’s top 10 most expensive list. Hawaii ($3.84) is the nation’s most expensive market, followed by California ($3.80), Washington ($3.44), Alaska ($3.33), Oregon ($3.29), Nevada ($3.27), and Arizona ($2.91). All prices in the region have increased on the week, with California (+7 cents) leading the way. Nevada increased five cents, while Hawaii and Washington each increased four cents. In Pahrump, gas prices on Monday ranged from $2.87 to $3.21, according to gasbuddy.com. In Tonopah, the range was $3.35 to $3.59. The price in Beatty was listed as $3.05. As a result, fall gas prices have not been this expensive since 2014, AAA said in its detailed report. At that time, motorists were paying on average more than $3/gallon and crude oil was selling well above $70/barrel. This year, despite stocks increasing in the U.S. by 8 million barrels on the week, crude oil is selling at a good $25/barrel or more than last year, hitting $75/barrel last week. The nation’s top 10 largest weekly increases also were compiled by AAA. They are: Ohio (+9 cents), Kentucky (+8 cents), Louisiana (+7 cents), California (+7 cents), Indiana (+7 cents), Virginia (+ 6 cents), New Jersey (+6 cents), Georgia (+6 cents), Washington, D.C. (+6 cents) and Alabama (+5 cents). ■ The Energy Information Administration weekly petroleum status report showed West Coast gasoline stocks increased slightly to 27.89 million barrels during the week that ended on Sept. 28. Stocks are approximately 760,000 barrels lower than where they were at this time last year, which could lead to price volatility if there are any supply shocks in the region this week. ■ At the close of Friday’s formal trading session on the NYMEX, WTI increased a penny to settle at $74.34. Crude prices bounced between gains and losses last week due to concerns around the impact of U.S.-imposed sanctions on Iran, which will go into effect early next month and target Iran’s energy sector. The volatility is also attributed to concerns about the possible collapse of Venezuela’s economy. ■ The increase in crude prices occurred despite crude oil inventories increasing by 8 million barrels to 404 million barrels last week, according to EIA. As speculation ramps up before the new sanctions on Iran take effect — which is driving increased investment in crude under the allure of even higher prices being reached later this year — crude prices will likely continue climbing next week. In related news, Baker Hughes Inc. reported that the U.S. lost two oil rigs last week, bringing the total to 861. However, when compared to last year at this time, there are 113 more rigs now than in 2017.